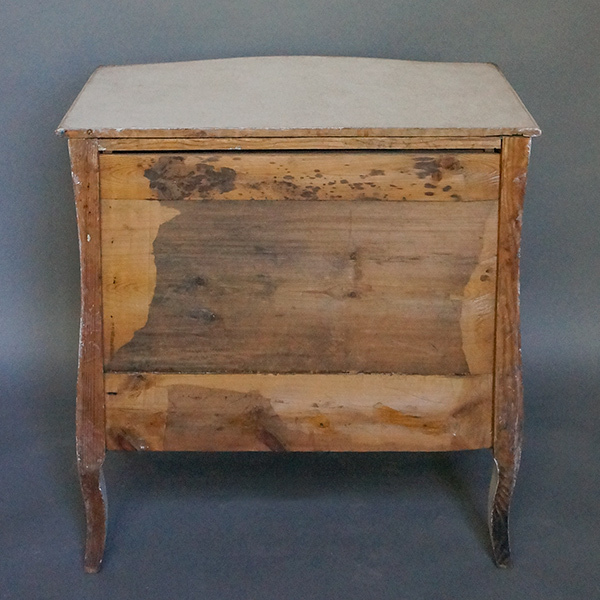 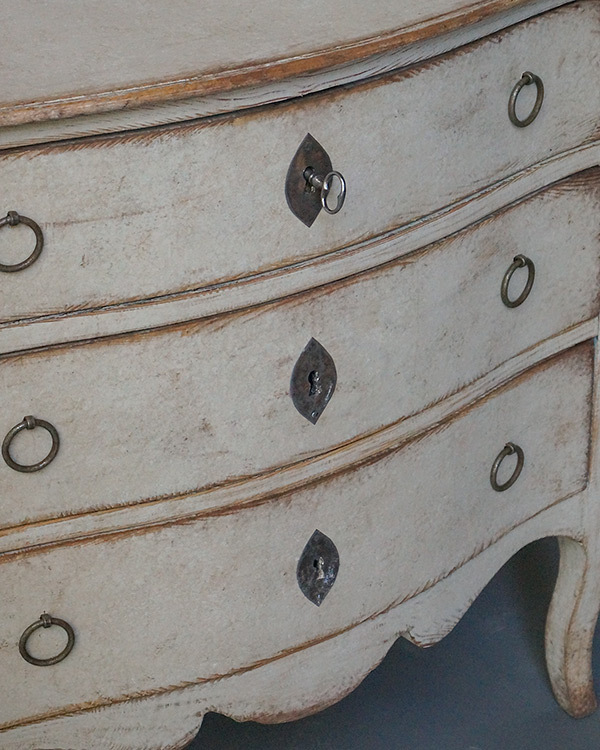 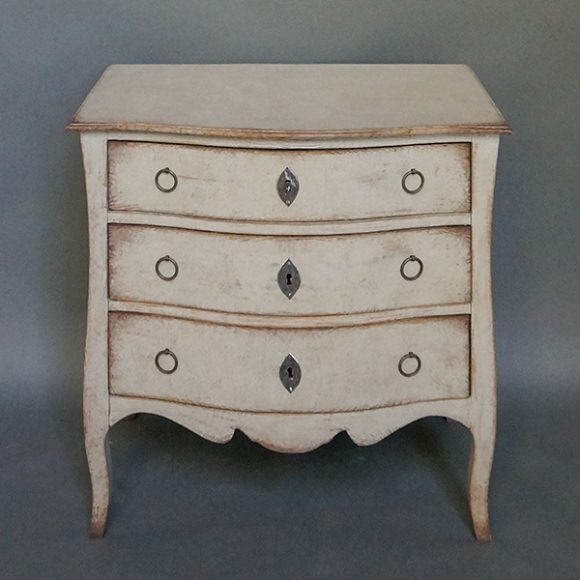 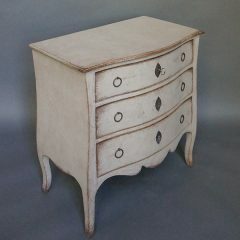 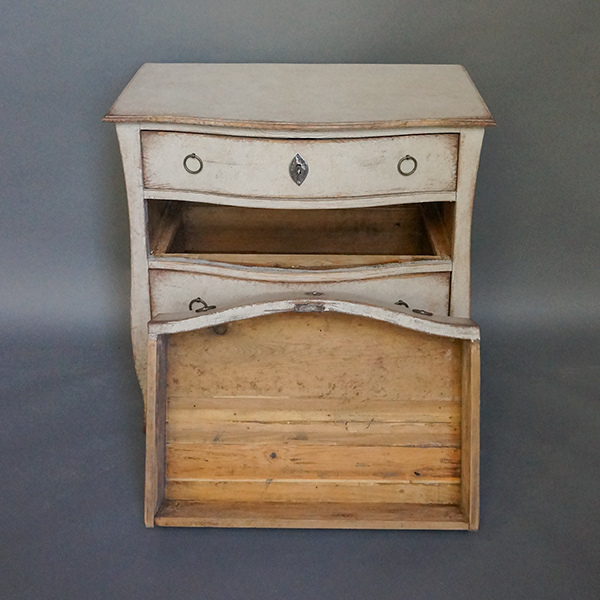 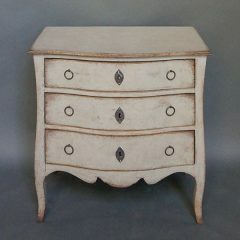 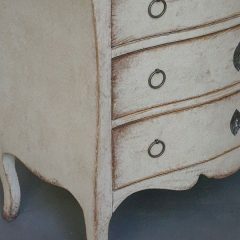 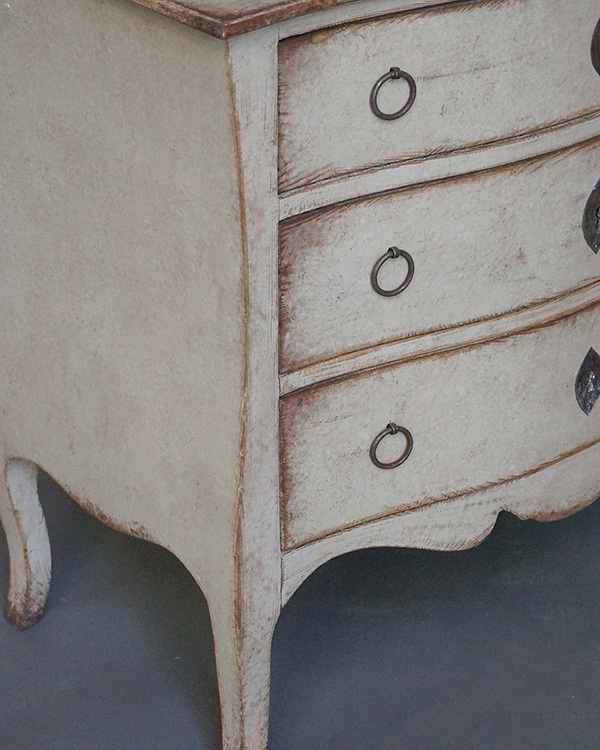 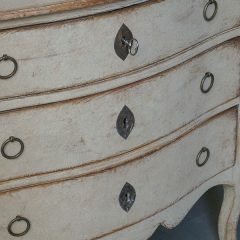 Small commode in the Gustavian style with graceful curving form, Sweden circa 1880. Shaped top over the swelling front and scalloped apron. 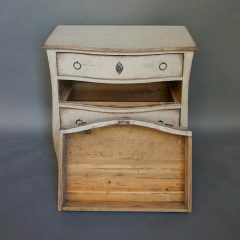 Convenient small size.